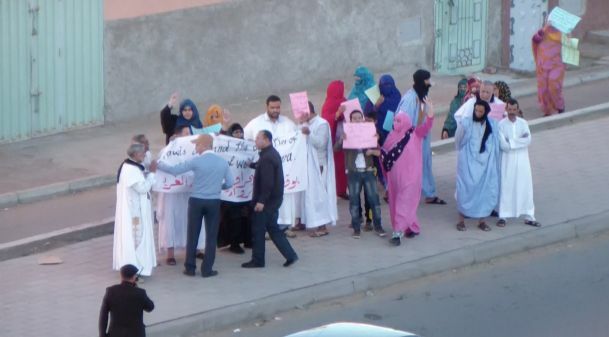 Several Saharawis were injured by Moroccan police in a demonstration against the EU's plans to fish in occupied Western Sahara, Saturday evening. European Parliament will on Tuesday vote on an illegal fisheries agreement with Morocco, covering the occupied territory. 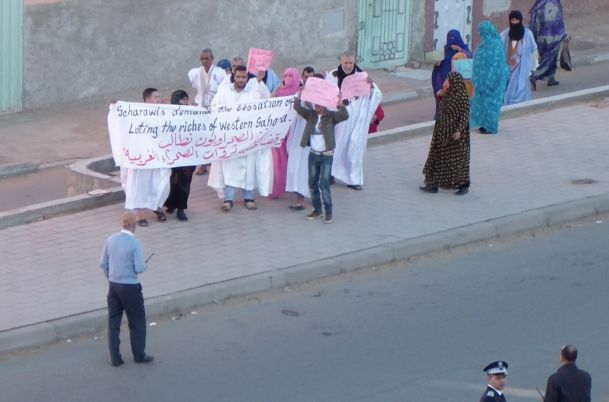 The local people of Western Sahara are frustrated, not having been consulted as the UN and international law require. 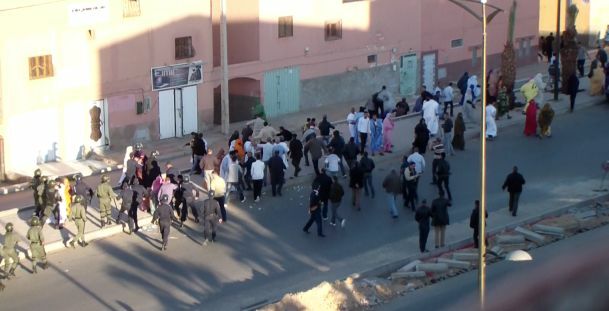 Photo above: Injured on the street following demonstration against EU plans to fish in occupied Western Sahara, 7 Dec 2013. 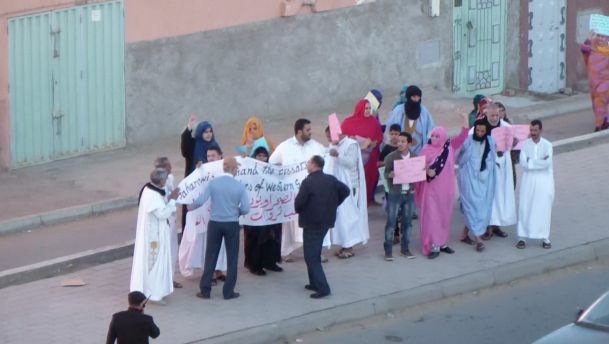 In a demonstration at 6PM this evening, 7 December, Saharawis took to the Smara Street of El Aaiun, Western Sahara, in protest over the EU's plans to exploit the territory's fish resources. Police intervened and injured several of them. 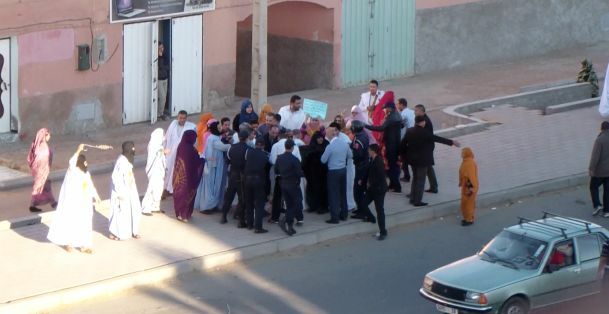 "As the demonstrators were shouting slogans, hordes Moroccan police officers came running towards them. Several were beaten. One old man in his sixties, a block down from where I was, was beaten on the head with a baton", stated Hodan Gulaid from Norway visiting the city. 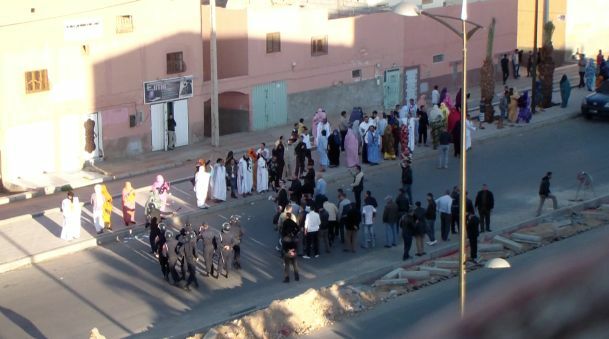 She witnessed the demonstration herself, in the same street as she was in El Aaiun. "The police came storming out of police cars. People here seem highly frustrated over the EU's plans, and that the EU has not sought their consent upon negotiating this agreement", she said. 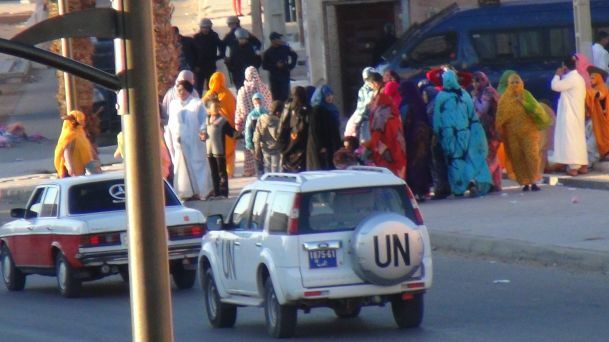 The first Saharawi reports enlists more than a dozen injured. 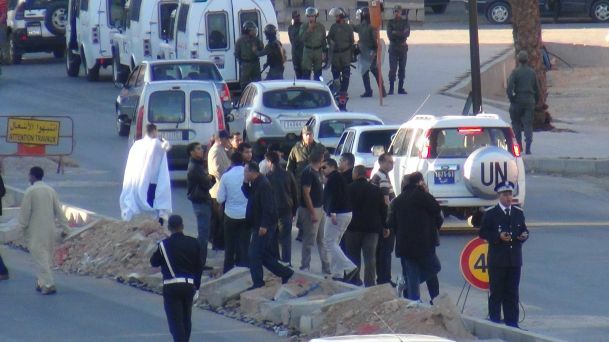 Some were taken to the hospital of El Aaiun. The demonstrators shouted slogans and carried banners against the EU fishing plans. High resolution videos can be downloaded here (Vid1, Vid2, Vid3), free use. Western Sahara is not part of Morocco. But Morocco exploits the resources of the territory as if they were their own. Through attracting the EU to fish in Western Sahara, the Moroccan government will not only earn 160 million Euros, but will also score political points. Morocco has explicitly stated that such deal is most of all a political importance to them. 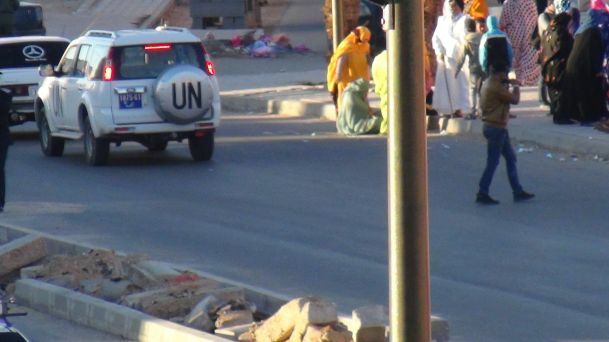 Morocco's occupation of parts of Western Sahara has been condemned by the UN. 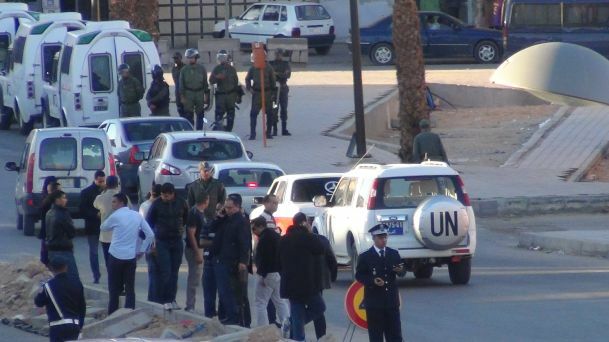 According to the UN, the people of the territory must consent to deals in the territory of Western Sahara for such agreements to be legal. However, the European Commission has signed a fisheries agreement with Morocco which will be applied in Western Sahara waters. At no point during the negotiations did they take the Saharawi people into account. The final decision is with the European Parliament. All Saharawi organisations (illegal, since such organisations hare not allowed by Morocco) have written to the EU to request them to not fish in their waters. They state they do not wish it, nor that it is to their interest. So far, the protests against the EU's illegal have been of a peaceful nature. This week, some 10.000 Saharawi refugees in Algeria lined up to sign a letter to the European Parliament. There have been demonstrations in both the refugee camps and in the occupied territories the past weeks. The EU will vote on whether or not to ignore the rights of the Saharawi people on 10 December - the Human Rights Day. Several high profile people, such as the President of the Pan-African Parliament, and the former UN legal counsel stress that the EU through such deal undermines the UN peace efforts in the territory.